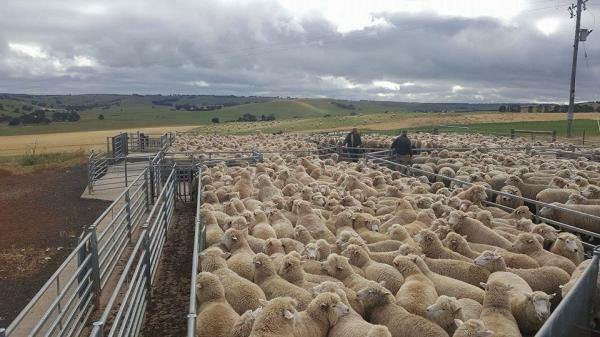 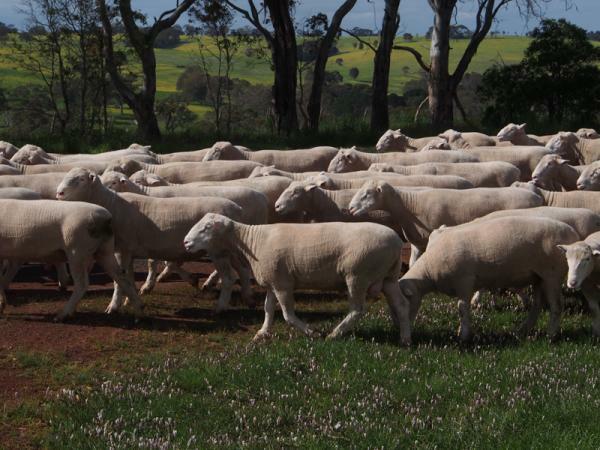 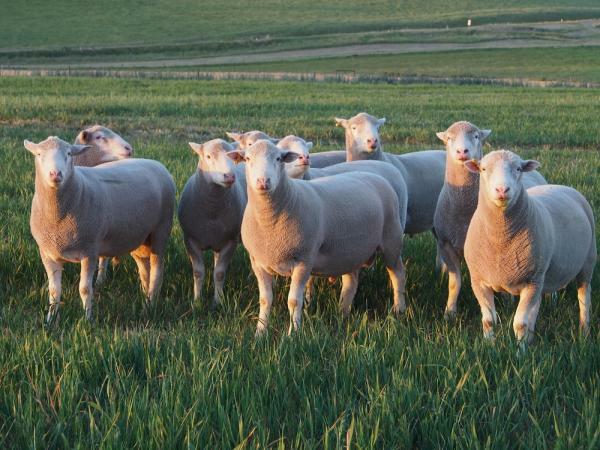 Some of the rams we retained for commercial ewes in 2014 at 17 months. 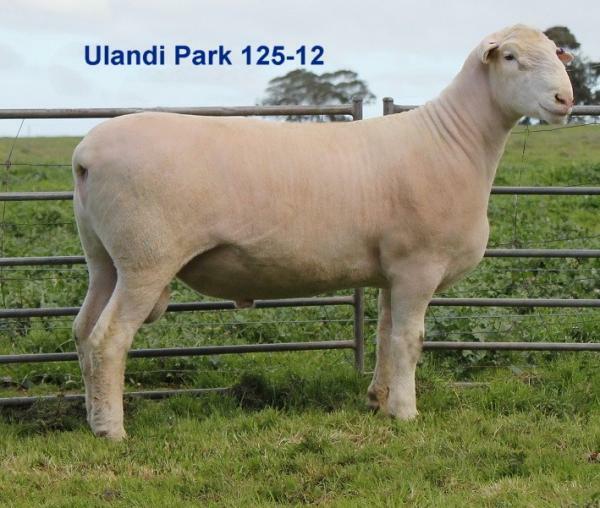 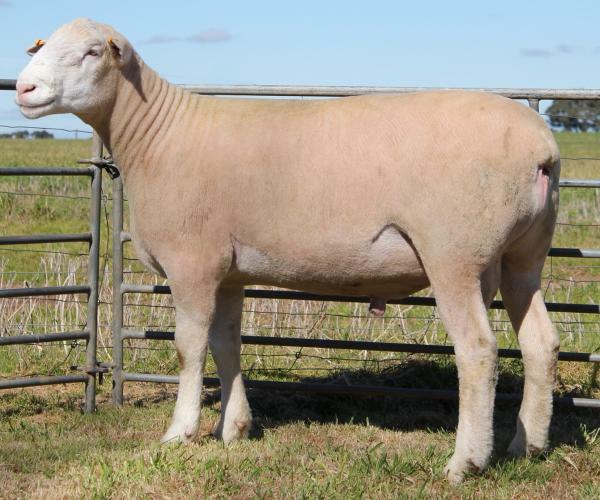 Ulandi Park 125-12, AI sire we used for 2014 lamb drop. 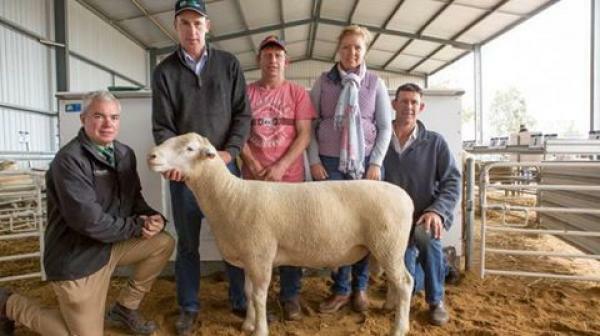 Rick and Nancy with the Hauslers at their Janmac on property sale, where for Janmac 149/15 Rick outlaid the top price of $5600 last week.